We inventory and warehouse a range of corrugated sheet stock and have the ability to convert into virtually any sized box. 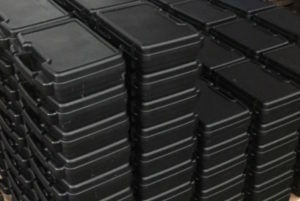 We inventory plastic corrugated in a number of colors and thickness and can fabricate boxes, totes or trays in any size. We also have industry partnerships and can acquire any case or container type on an expedited basis. 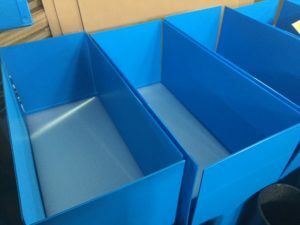 We can manufacture boxes, totes or trays in a wide range of colors from our line of plastic corrugated stock. We can also make printed signs with your artwork or with our standard designs. We can help prepare your materials for packing by creating a complete packaging solution. Get a quote for your custom foam or packaging project today.